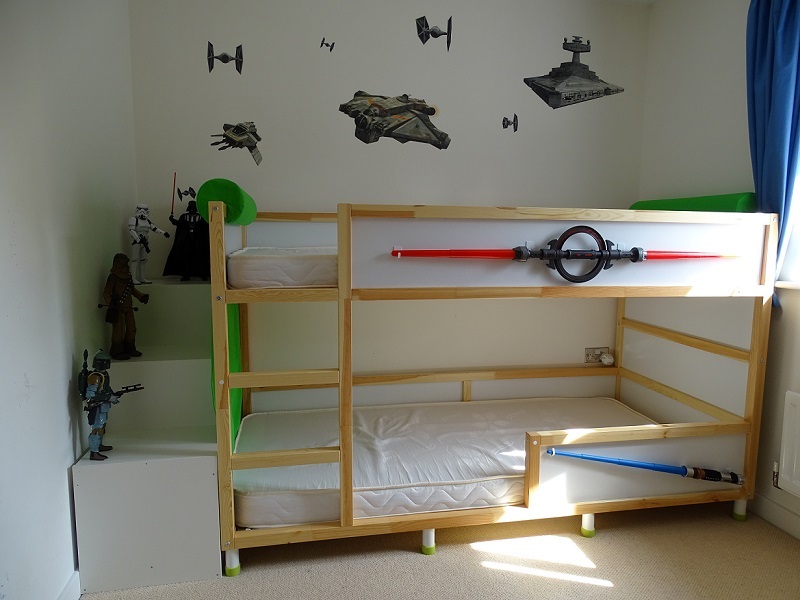 Parents - A new take on bunk beds! Always one for an Ikea hack I love this idea of using their childrens storage units from the Trofast range to create stairs to a bunk bed. 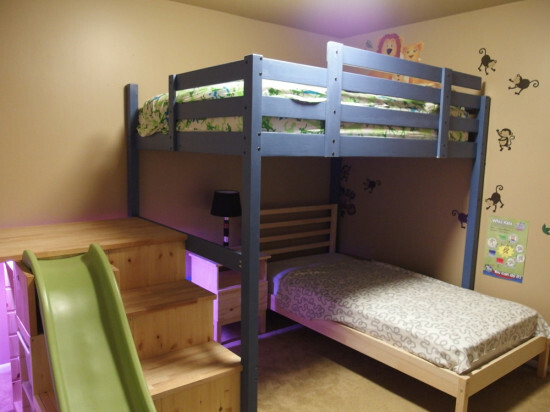 I like the idea of a bunk bed but the steps seem quite steep and a bit scary (for the parents, not the children!) - using this idea gives little ones a safer way to get up to and down from their bed, and incorporates storage for all those toys. If you have a little more space why not add a slide for a fun way to get down and make it easier to get them out of bed on a morning - there just might be a fight for the top bunk!